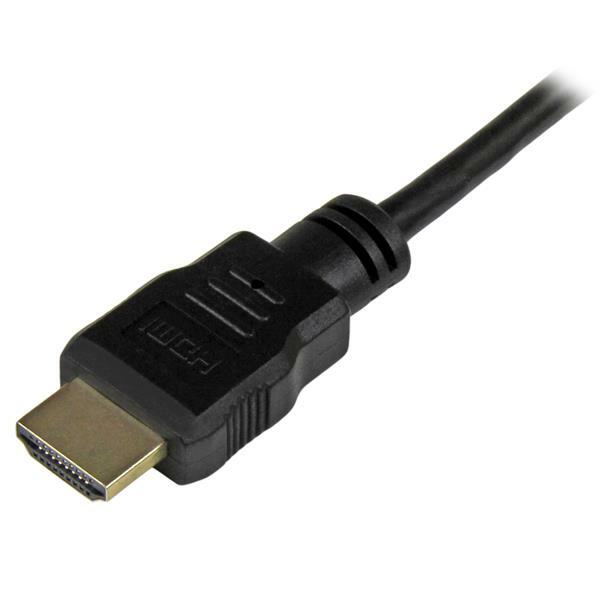 HDMI Mini connector gives you a compact form factor, which makes easy integration of HDMI technology into portable devices. 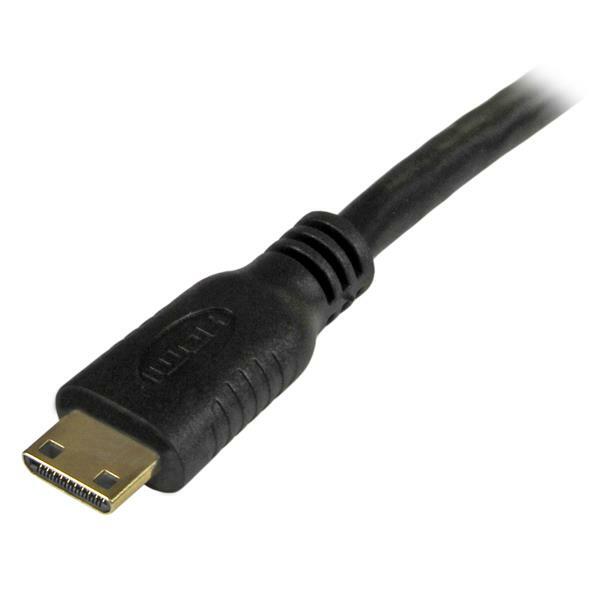 The HDMIACMM6 6-foot HDMI® to HDMI Mini cable lets you connect devices with an HDMI Mini (type-C) port to a display/device with an HDMI (standard, type-A) port - a cost-saving solution for connecting cutting-edge and next-generation HDMI-enabled devices to existing HDMI technology. 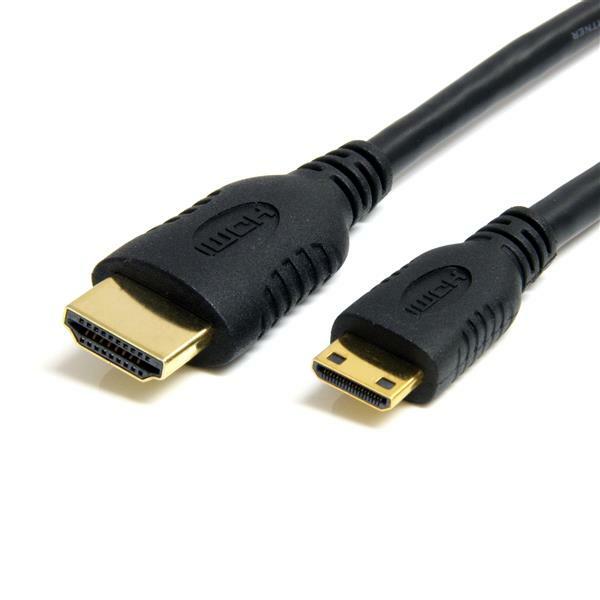 The HDMI/HDMI Mini cable features high-quality, gold-tipped connectors that ensure peak connectivity, and is backed by StarTech.com's Lifetime Warranty. 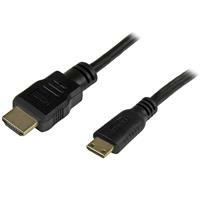 Features a high-quality, gold tipped cable that will optimize the performance of your digital camera or camcorder.